Ladies and gentlemen, boys and girls this is it. Valencia CF is going to play the final preparation match tomorrow against Roma in the Mestalla for the trophy Naranja. This is the first match the home fans are going to watch the team and is going to be a representation of sort for the new players, as well as the official numbers and captains. Now when I say final match, its not actually the last match, since Valencia CF is going to play against Almeria just 2 days later as has been agreed in the purchase of Pablo Piatti. Even though Valencia CF is going to play just 2 days later this is going to be the important match as Unai Emery is likely to field the strongest eleven on the pitch, play great and win in order to attract more fans for the upcoming season. AS Roma has gone through a lot of restructuring recently with the change of ownership this year and the end of the Sensi family presidential reign which has spawned since 1993. The new owner is Thomas Richard DiBenedetto along with Unicredit who now own 67% of the shares of Roma in a 60-40% deal between the parties. 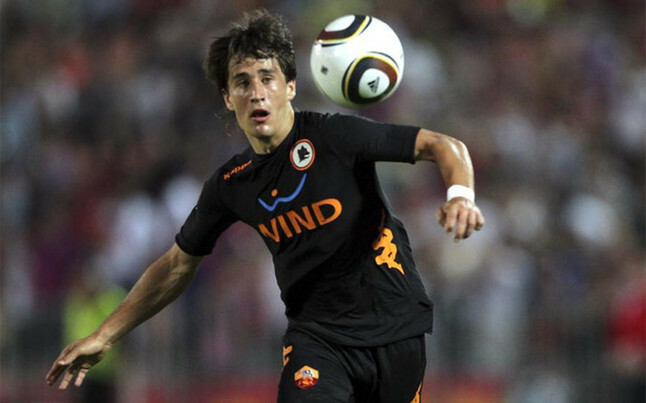 AS Roma have brought in Luis Enrique former Barcelona player and previous Barcelona B side coach as a new coach and new signings Erik Lamela and Bojan Krkic. Roma's preseason has been a mixed bag and although they've won 4 out of their 5 matches, all but the one they've lost have been against a lot weaker sides. The one decent competition in PSG and they lost 3-0, so this match against Valencia is going to probably be their sternest test so far. Valencia CF has been a little bit more convincing, but stupid individual mistakes have cost the team so much, just as we saw in the last match against Liverpool where they won 2-0 because of individual mistakes by David Albelda and Angel Dealbert. So some matches have been great, while other very poor, so I'm keen to see how we play tomorrow against Roma and whether Valencia CF is competitive enough to challenge for at least Copa Del Ray honors. The training has been going well with a lot of different practices and routines. From defensive training to technique, offensive moves, tactics and just physical strength it has it all, but will it all come together for some great team performance? I sure hope so and winning against Roma is going to be a good place to show it all. Goalkeepers: Diego Alves and Guaita. Defense: Miguel, Bruno, Dealbert, R.Costa, Jordi Alba, Mathieu. Midfield: Maduro, Tino Costa, Banega, Albelda, Topal, Feghouli, Juan Bernat, Pablo, Piatti and Parejo. Attack: Paco, Jonas and Soldado. Line-up: Diego; Miguel, Rami, Costa, Mathieu; Feghuoli, Topal, Tino, Piatti, Parejo; Soldado.